A Tennessee businessman with a history of dumping cash on Alabama governors Bob Riley and Robert Bentley joined Donald Trump fixer Michael Cohen in a meeting last month with a Qatari official, according to a new report at Mother Jones (MJ). The meeting came days before federal agents raided Cohen's office and could be of interest to investigators for Special Counsel Robert Mueller. At a meeting in Miami on April 5, Franklin Haney, the owner of an inoperative nuclear power plant in Hollywood, Alabama, sought a major investment for his facility, according to two sources familiar with the gathering. His target, the sources say, was Sheikh Ahmed bin Jassim bin Mohammed Al Thani, Qatar’s minister of economy and commerce and deputy chairman of the Qatar Investment Authority, the $300 billion sovereign wealth fund of the natural gas-rich Persian Gulf state. 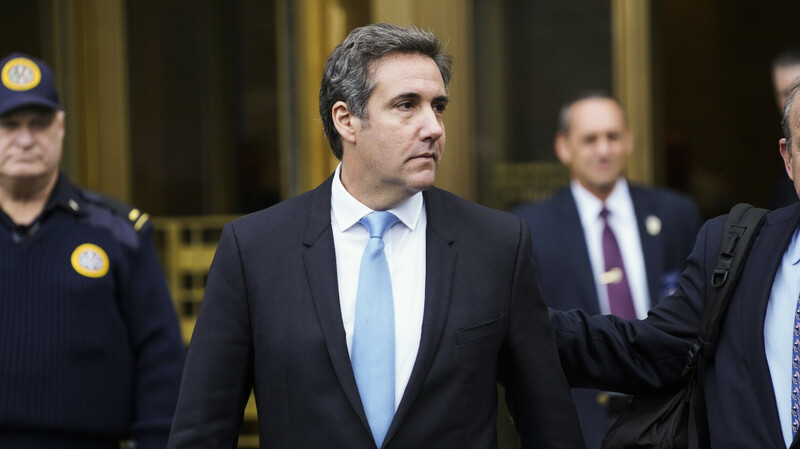 Also at the meeting, according to the sources, was Michael Cohen, President Donald Trump’s longtime personal lawyer and fixer. (Several days later, Cohen’s office and home would be raided by federal agents.) Now, as the Trump scandal expands to include Cohen’s business deals and possible interactions between Trump associates and officials of Saudi Arabia and the United Arab Emirates, any relationship between Cohen and Qatar would likely be of interest to federal investigators. Just the traceable donations from Haney's businesses to Bentley's last campaigns total about $300,000, much of which moved into Bentley's campaign account after the last election was over. . . . That campaign account subsequently paid the salary of Rebekah Caldwell Mason, the governor's senior political advisor with whom he is accused of having an affair. Note the highlighted sections above about Bentley's support of a nuclear-plant project near Scottsboro -- after receiving donations from Haney that helped pay Rebekah Caldwell Mason. That's the same plant for which Haney, with help from Trump fixer Michael Cohen, sought investment from a Qatari official. If Mueller investigators really want to follow the money trail involving Franklin Haney and his Alabama properties, they might want to start with former governors Bob Riley and Robert Bentley -- not to mention "Home Wrecky Becky" Mason. This is scary poop. A guy is messing around with a nuclear plant, simply because he has deep pockets? Excellent point, @1:22. Does Mr. Haney have a clue how a nuclear plant works -- and the potential downsides such a plant brings with it. As it stands right now, it seems reasonable to assume this plant is built with outdated technology. If Haney is your typical businessman, he will want to cut construction costs as much as possible. That should make everyone in north Alabama feel comfortable. What are they going to call it -- "The Home Wrecky Becky" National Nuclear Facility? "Luv Guv" was willing to risk frying half of north Alabama so he could continue to have access to Becky Mason's delicates. Becky Mason sort of nuked the Bentley administration, so maybe this all makes sense. Becky Mason's rack must be spectacular if it was worth this much to Bentley. Bentley's a crooked, dirty old man, but Riley was the first one to sell out Alabama to Haney the hillbilly. Maybe Mr. Haney will hire Hank Kimball to run the nuclear plant. It's comforting to know that investors from the Middle East could be behind a nuclear facility in the U.S. Peachy. Paul Henning, a great Missourian, helped create "The Beverly Hillbillies," "Green Acres," and "Petticoat Junction." I'd call that a pretty good trifecta of corn-pone humor. Consulting deal with Franklin L. Haney could have been among the most lucrative struck by president’s then-personal attorney"